Browse for seat posts by vehicle make and model. Chrome plated steel suspension seat post. 25.4mm (1") OD. Chrome plated steel seat post. 25.4mm (1") OD. 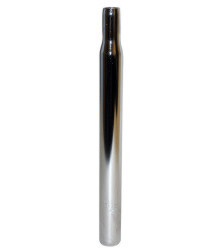 Overall length: 12"
Kalloy® aluminum alloy seat post. 25.4mm (1") OD. 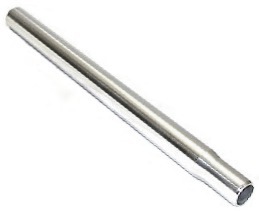 Steel seat tube for 25.4mm (1") OD seat posts. 25.4mm (1") ID x 28.8mm (1-1/8") OD. Seat tube for Currie®, IZIP®, Schwinn®, Mongoose®, and GT® electric scooters with 28.8mm seat tube mounting hole. Includes seat post clamp. Has hanger and mounting bolts for a wire basket plus threaded holes and mounting bolts for a water bottle holder. 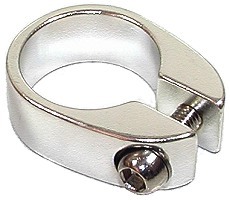 Quick release nickel-plated steel seat post clamp for 25.4mm (1") OD seat posts. Inside diameter of clamp is adjustable between 30mm (1-3/16") and 28mm (1-1/16"). 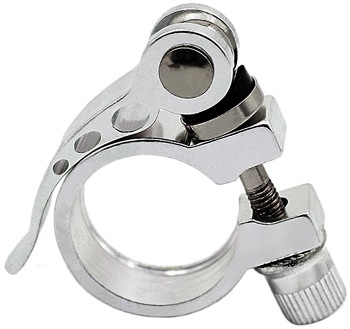 Quick release aluminum seat post clamp for 25.4mm (1") OD seat posts. Inside diameter of clamp is adjustable between 30mm (1-3/16") and 28mm (1-1/16"). 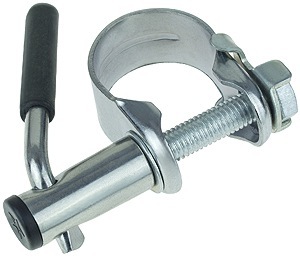 Allen wrench adjustable aluminum seat post clamp for 25.4mm (1") OD seat posts. Inside diameter of clamp is adjustable between 30mm (1-3/16") and 28mm (1-1/16"). Aluminum suspension seat post. 26.8mm (1-1/16") OD. 1" of suspension travel. Fits many electric scooter and electric bicycle models. 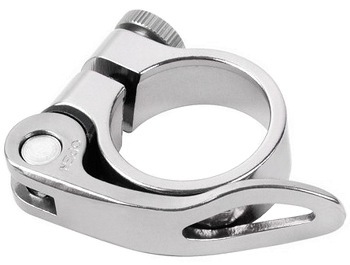 Quick release aluminum seat post clamp for 26.8mm (1-1/16") OD seat posts. Inside diameter of clamp is adjustable between 31.8mm (1-1/4") and 30mm (1-3/16"). Lightweight aluminum seat post. 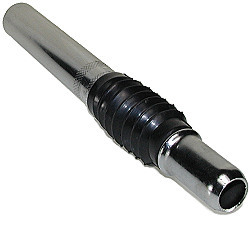 28.6mm (1-1/8") OD. Fits many electric bicycle brands including; Currie®, eZip®, and IZIP®. 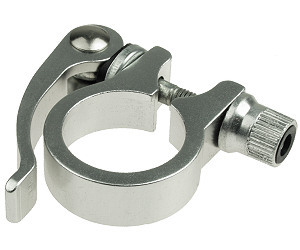 Quick release aluminum seat post clamp for 28.6mm (1-1/8") OD seat posts. Fits many electric bicycle brands including; Currie®, eZip®, and IZIP®. Inside diameter of clamp is adjustable between 32mm (1-1/4") and 30mm (1-3/16"). 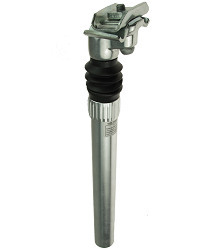 Replacement tapered seat tube for eZip® and IZIP® electric scooters. Silver seat tube color. We offer a large variety of seat posts and seat tubes which fit many different brands and models of Chinese-made electric scooters and electric bicycles.